Equium Capital manages private equity funds that focus exclusively on real estate development. The funds are available to accredited investors only and target superior investment returns, typically with a 3 – 5 year investment horizon. By partnering with the best real estate developers in North America and investing directly in the equity of carefully selected projects, the funds aim to deliver investment returns above long-term average equity returns with low correlation to public markets. This strategy aims to compliment investors’ portfolios by offering significant diversification and superior returns to equities. Equium Capital real estate funds bring an important element of diversification to individual and family office investment portfolios. 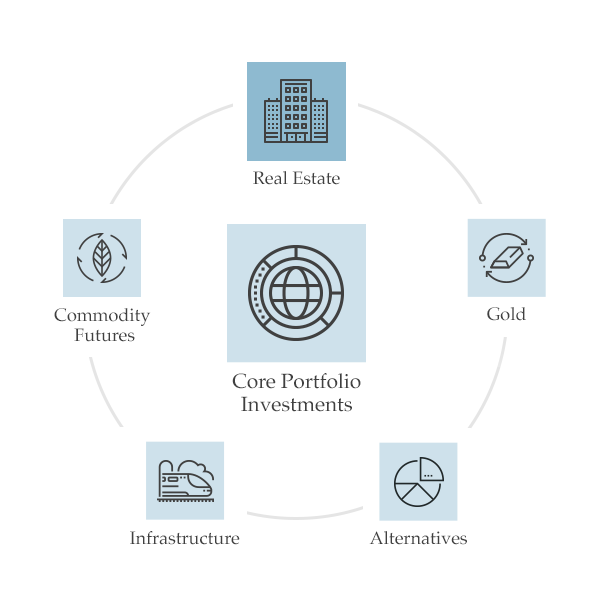 We believe in a comprehensive approach to investing, involving properly diversified and constructed portfolios that include an allocation to equity in real estate. This is different from owning REITs or income producing properties insofar as the aim is not income or yield, but significant capital appreciation over a short-to-medium timeframe with low volatility and low correlation to stock markets. Among the most critical aspects of investing in real estate is thorough and unemotional due diligence, leading to superior underwriting and selection of projects. Equium Capital was founded upon conservatism and accountability, principles central to the firm’s culture and pervasive in its approach to investing in real estate. Discipline, intellectual rigour and a long history of conservative risk management are the key elements that Equium Capital brings to investing in the equity of real estate developments projects. With its hallmark conservatism, Equium Capital brings institutional private equity funds to individuals and family offices. Partnering with premiere real estate developers to identify unique opportunities across North America, Equium Capital manages private equity funds that focus exclusively on real estate development. Development Acquisition: Critical to the success of a real estate development project is conservative underwriting, disciplined land acquisition and above all else, partnering with the best developers. No project is without its challenges and Equium Capital’s hallmark conservatism prepares for bumps along the way to better protect invested capital. Project Management: By partnering with premiere developers and engaging industry-leading consultants, the team at Equium Capital maintains strict, active oversight of projects from beginning to end. Being engaged in all aspects of construction and project management enables real-time decision making and better cost control, which ultimately drives superior investment returns. Investment Monetization: Equium Capital offers only development-oriented funds, meaning there is a planned exit of the project at completion. This monetization event, most frequently a sale of the property, triggers a return of capital and profit distribution from the fund to investors. By maintaining some discretion on timing the exit, Equium Capital can better manage risk and maximize investor returns. Incorporating technology and sustainable design principles into their developments, Smart Living Properties offers small footprint rental apartments in modern buildings with enhanced amenity space, often including rooftop patios, theatres and business rooms. The company develops and operates properties in the Ottawa region with a portfolio of more than 25 buildings running at a 3 year average vacancy rate below 1%. Best know as the development force behind Toronto’s reinvigorated Yonge-Dundas Square, PenEquity has a well-established history of anticipating future market trends and making them a reality in today’s development landscape. PenEquity brings immeasurable experience in redefining the Canadian retail landscape to a new format regional commercial node development in Southwestern Ontario.